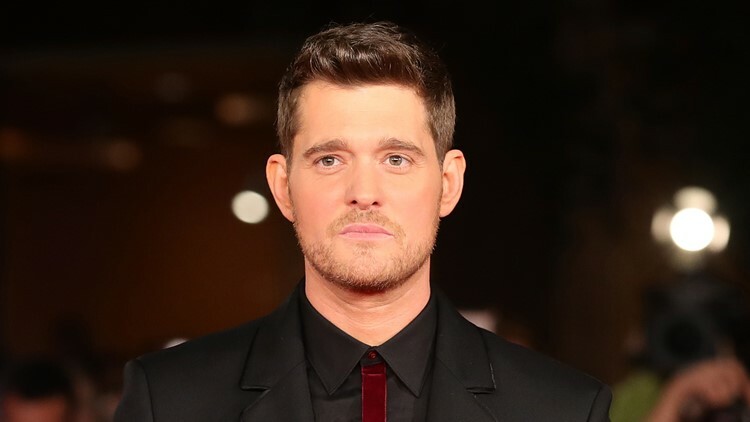 Michael Buble's 5-year-old son Noah was diagnosed with liver cancer at 3. Michael Buble is opening up about his son's battle with cancer. During an appearance on a special Stand Up To Cancer episode of "Carpool Karaoke" Saturday, the singer got emotional talking to James Corden about his 5-year-old son Noah, who was diagnosed with liver cancer at 3. "It's so hard to have to acknowledge it because it is so painful to talk about," Buble began. "We got the diagnosis, and that was it man. My whole life ended." Buble and Argentine TV actress Luisana Lopilato have three children together: sons Noah and Elias, 2, and daughter Vida, who was born in July. He said his entire extended family relocated to Los Angeles to be closer to Noah while he underwent treatment. "We took it day by day," Buble said after regaining his composure and wiping tears from his face. "We all moved and lived by (Children's Hospital Los Angeles) and we just had the best doctors. God, thank you Jesus Christ." He revealed he remained strong for his family during Noah's battle. Now that their eldest child is doing well, Buble said he relies on his wife: "I'm not OK."
"When this all started I became the strength to somehow pull us and lift us and be positive," he said. "When the chemo was done and they said 'We did it,' 'We're good, he's OK,' I just fell. My wife picks me up now." At the end of the "Carpool Karaoke" episode, Buble pleaded with viewers to donate to Stand Up To Cancer and be a hero. "(Noah) loves Spiderman … and I always say to him, 'Spiderman is amazing … but they're fake, they're not real … you're a superhero, you're my hero, my real superhero,' " Buble said.